Orthotic braces, or orthoses, are used to provide support to a weakened body part or joint. While many times they are worn for a short period of time, usually after an injury or surgery, some braces are used to address long term or chronic conditions. Victory O&P excels at Scoliosis orthosis care because we have taken a special interest and undergone extensive training in this specialty. Scoliosis and spinal conditions involving deformation and instability are very complex; therefore treatment has to be thorough, in consideration of the 3-D postural affect and optimal results occur with a multi-discipline approach. Victory O&P is the leader in comprehensive orthotic spinal care in Northeast Tennessee and the surrounding regions. Whether you have a spinal fracture, spinal deformity or vertebral imbalance, we find the best orthotic spinal system for your condition through training, experience and medical team collaboration. 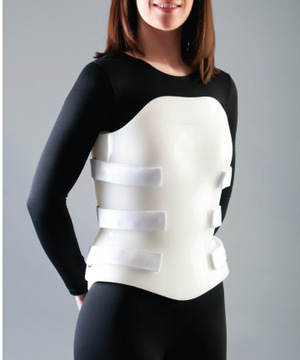 Spinal orthoses are fabricated from various materials, from elastic materials such as Lycra or Spandex, to cotton or nylon, all the way to a full plastic “body shell” design. The particular spinal orthosis design that is needed to best address the patient’s medical needs will be selected by the physician in consultation with an orthotist or other provider of the orthosis. Devices used to stabilize the lumbar and/or thoracic spine following surgery or trauma such as a fractured vertebra. 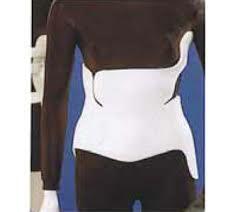 These devices are custom molded to measurements or a scan taken of the torso. 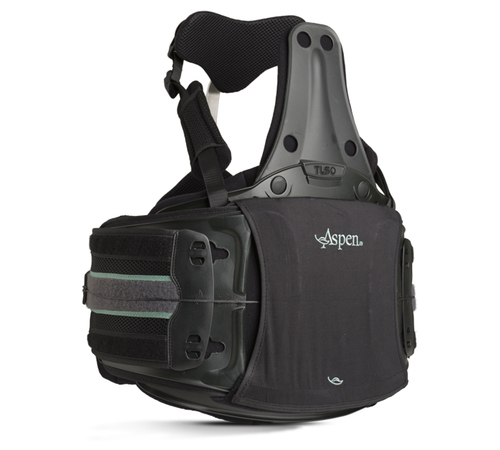 The device aggressively restricts movement and reduces stress on the spine. Devices used to stabilize the lumbar and/or thoracic spine following an injury, surgery or to address pain. These devices are less restrictive than custom molded TLSO/LSO, and are generally not custom molded.